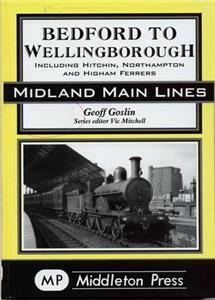 The Hitchin - Bedford route formed part of the Midland Railway's first line for London trains. Its subsequent secondary nature is fully illustrated, along with the lesser lines to Northampton Castle and Higham Ferrers. The varied trains and architecture of the main line are shown, along with the diverse ephemera from the past.